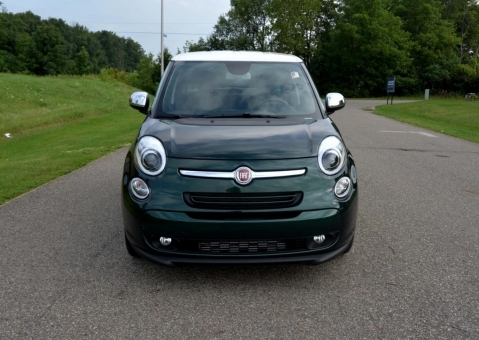 Manufacturer: Fiat Group Automobiles S.p.A.
Don't miss your chance to have this Fiat! This is a practically new vehicle that is impeccable from all points of view. Interested in selling your car but you have no time for it? Or you want to purchase a vehicle for your family, but you do not know where to find a reliable car? There is one place for everything which is related to car deals – Car For Sale By Owner auto auction. This is the auction, which allows you to stay at home and spend more time with your relatives instead of wasting it on traveling around the country searching for a new car. Our mobile service allows you to track your car sales directly from your mobile device and this is absolutely for free. Just download our application on your device, register and access it any time you need. You will also be able to find the cars you like. These can be new cars, old cars, classic cars, modified cars, muscle cars, used cars, sports cars and more. We are here to make you car deals easy and secure. We provide our customers with the best conditions, offering them to choose one of thousands of reliable used cars. Choose a car according to your location, money and preferences. Selling your car is also possible. The only thing you need is to consign it to us and we will do everything that is in our power. Our team is customer friendly, as we want you to have only positive impressions about your car deals.